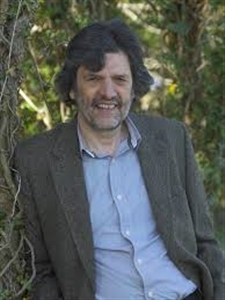 Micheal O’Siadhail’s poetry addresses themes as varied as love and the Holocaust and reflects influences from jazz, Irish culture and Scandinavian literature. His poetic forms also cover a broad range, including classical, free verse and his own form. A former professor turned full-time writer, O’Siadhail is the author of numerous books, including “Collected Poems,” published in 2013; “Love Life,” which explores his relationship with his late wife; and “The Gossamer Wall: Poems in Witness to the Holocaust.” A number of his works also have been set to music. He was at Duke Divinity School in April 2014 for the conference “Sounding the Passion: Encounters in Poetry, Theology, and Music” and spoke with Faith & Leadership. The following is an edited transcript. Q: You are here at a gathering with theologians. Why? I am in fact a practicing Catholic, but it’s, I think, in the role as a poet [that] I’m here. Patrick Kavanagh, who I think is the best Irish poet of the 20th century, always is quoted as saying that any poet worth his salt is a theologian. And what does he mean by that? I think he means that what a poet would have in common with a theologian is dealing with questions of meaning and of context, the context of our lives. I often use the phrase “the ministry of meaning,” and I see an artist as a minister of meaning in many ways. I’m trying to ask the big questions about why we’re here, what we’re doing. And I think that’s what’s in common with what theologians do. Q: So it’s a similar project more than an explicit theme or topic in your poetry? Yes, I think so. What does theology do? It seems to me that it asks questions about truth and beauty and goodness and meaning in our lives. I would be a great believer in the Greek triple objective, which is to serve truth, beauty and goodness. I think, in a way, this needs to be done again in contemporary literature. I think the Romantics were on the way to losing the ethical approach to life, and that feeds into modernism as well. I think you also need to know goodness. Q: I was interested in the forms in which you write -- classical forms, which a lot of poets think of as old-fashioned or restrictive, and then also free verse or something more innovative, for lack of a better term. How do you choose? I don’t think it’s an either-or -- I’m afraid I’m a both-and person -- so that I don’t think it’s either form or free verse. I think it can be both, and also the in-between thing, which is what I go for a lot of the time -- creating forms and playing on them in all sorts of ways, and making each poem develop its own form. So I think it’s not one or the other. The extremes -- I avoid them. One of the extremes is, of course, in a way an American myth, and that is that any form or anything that is formal is not genuine. That would be the point of view of the Beats. It’s almost an American myth of genuineness and spontaneity, so if you had form it wouldn’t be spontaneous -- of course, it’s very expressive and it lets off a lot of feeling, but it’s not art. In a book which I wrote about the Holocaust -- I spent four years reading and thinking about it and wrote a book called “The Gossamer Wall” -- I deliberately used all sorts of different forms. One of them was what I call the zigzag rhyme, where there’s a rhyme between every two lines; there’s a rhyme somewhere internally in it, which gave a coherence to it and yet kept kind of a flat style that wanted to be calm and just tell the facts, because it’s much more effective than big shock and horror about it. It just doesn’t need that. But at the same time, at the center of the book -- it’s a chiasmus -- I wrote sonnets. Why? Because at the camps, one of the most awful things in our history happened, and [I wanted] to turn it on its head by using the form which the Elizabethans devoted to love poetry. It was to awaken us to the fact that we have to think about aesthetics, but also how people could actually go out and gas hundreds of people and then go back in and listen to music. So where is art? Where is the goodness in the triple? So that’s why I think, you know, “truth is beauty, beauty is truth” is not enough. Q: You’ve written about the Holocaust, but you’ve also written about Ireland and your childhood there. Do you think that that sense of place is an important part of your work? Again, I think it’s not either-or. I think it’s both-and. I’m Irish, very proud that I’m Irish. I was born in Ireland. I was born in Dublin and have an urban background, but I also spent summers as a boy in the west of Ireland, so I speak Irish. It’s the language I spoke to my wife for 44 years. So I’m deeply embedded and rooted in Ireland. I think it’s that rooting, that deep rooting, that gives me the freedom to be everything else as well. It sounds boastful, but I speak many languages, and I’m part of many cultures. I’m equally at home in many countries, but I’m home there because I’m grounded, because I’m actually rooted. I don’t think there’s a contradiction between being rooted in a place and also thinking globally. So it’s a combination of both. I mean, you cannot, I think, write poetry without using all the arrows in your quiver. So I think you do that, but it doesn’t exclude telling the story. And that’s always been in poetry, after all. You’ve only got to think of Virgil; you’ve only got to think of Homer, think of Milton. 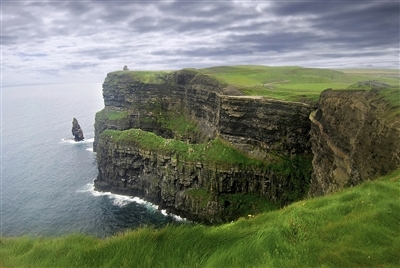 Q: Irish culture is famous for its storytelling as well as its poetry. Well, it is, but it wouldn’t be in a traditional mode that I’d be telling the story. The Holocaust doesn’t quite fit into a traditional mode in that sense. But on the other hand, I mean, I have also written a lot of love poetry and very lyric poetry. But I suppose really what you’re pointing towards is not really the storytelling so much as the fact that I refuse to cede the public domain to others. I think poetry is in there as well, helping to shape an environment which could make us more humane and more compassionate as a society. There is a societal element to what I want to do, and as I’ve said before, I seem to have alternation between these things, but I think we have a role as poets, and I certainly feel I want to have a role as a poet in helping in a tiny, tiny way. And so I think the tiny things we do, even a poem, can help to shape the society, can help to shape our community into a more compassionate and humane community. Q: It’s an interesting way of saying it, because one thing about the notion of storytelling implies a listener or reader. It’s a communication, more than self-expression? I write poems with greater personal intensity, and one hopes it’s not simply self-indulgence. But you hope that if you go deep enough and honestly enough into your own life that you actually reflect other people’s lives. It resonates with other people, and that’s a form of communication, a perfectly valid form of communication and a valid form of helping people on an individual level, perhaps, as I said, to be richer as human beings. But ultimately, you know, there is also a view of society which can be expressed, an angle of vision toward society, and it seems to me that that is more the storytelling I would aspire to, to actually say things about society and the world as well. I hope that I’ve achieved that in some poems. Courtesy of www.faithandleadership.com. The opinions are those of the author and do no necessarily reflect the position or policy of the Florida Conference.